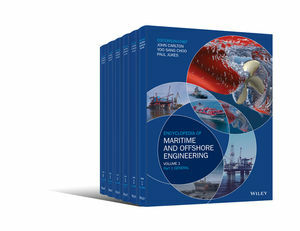 The Encyclopedia of Maritime and Offshore Engineering (EMOE) provides an unparalleled major reference work covering the design, construction and operation of ships, offshore installations and other marine structures used for transportation, exploration and the exploitation of ocean-based resources including oil, gas and renewable energy. It embraces all of the disciplines of engineering and naval architecture that are found in the complementary marine and offshore industries. Advances in ship technology, the growth of the offshore energy sector, and increasing activities in arctic and ultra-deepwater environments all highlight the need for an up-to-date reference work on the proposed scale. Operational and regulatory aspects of maritime industries will also be included. The technical sections are supported by the appropriate theoretical background information: for example, hydrodynamics and numerical analysis methods of fluid and stress analysis. The full editorial team and contributing authors is drawn worldwide from renowned engineers, scientists and practitioners in both the academic an industrial sectors. Michael G. Burns P. E.